If you own a business in Ontario, Wayne County, or Sodus, and you have company vehicles for you and your employees, you may want to consider commercial auto insurance. This type of insurance helps you cover all financial costs associated with a collision caused by you or your employees, including any medical expenses and damage to property. Learn more about the benefits of having commercial automobile insurance for your business through Farmers Insurance. Why Choose Commercial Automobile Insurance? Commercial auto insurance is a necessity for businesses that have company vehicles that are owned, leased, or rented, and driven by employees, as well as businesses that have employees who drive their personal vehicles during work. If you or your employees get into an accident with a company vehicle, you’re covered for collision, liability, and medical payments. These benefits also extend to the employees’ own vehicles. This type of insurance can also be tailored to your individual needs and liabilities. In the event of a loss of income or loss of vehicle, this insurance can cover your towing expenses or rental costs, as well as any physical vehicle damages. There’s also additional protection for uninsured or underinsured motorists. What Commercial Vehicles Can Be Covered? Company vehicles: Cars, light-duty trucks, vans, SUVs, and other vehicles can enjoy the advantages and protection of commercial auto insurance. Trucks: Whether you use a tractor trailer or a fleet of dump trucks, all your commercial trucks are covered with commercial auto insurance. Trailers: Your vehicle isn’t your only automotive asset. Commercial auto insurance also covers a range of commercial trailers, from large dump body trailers to utility trailers. How Much Does Commercial Automobile Insurance Cost? Your industry: Some businesses carry more risk than others, as well as a larger fleet of vehicles. Location: Areas with greater risk or a higher number of claims, such as a large city, could influence your insurance. Vehicle Type: The type, size, intended use, mileage, condition, or year could influence your premium as well, since commercial auto insurance covers physical damage to your vehicle and any cargo. Accident Record: A motor vehicle report will be pulled for any employee who is covered by your commercial auto insurance, which means that your premium will reflect those driving records. Coverage: More protection comes at a higher cost, though there are often discounts and options to get great auto coverage that fits your budget. Start your free quote today from Farmers Insurance! Commercial auto insurance is important for your business, but it doesn’t have to cost you. 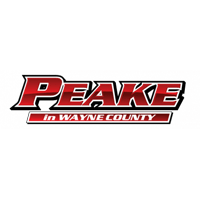 Contact Peake Chrysler Dodge Jeep Ram FIAT to find a combination of coverage options that give you the protection you need. Many local business owners in Ontario, Wayne County, and Sodus count on us to get the commercial auto coverage they need, so stop by today to see how we can help your business!